Hormonal birth control pills are rightly considered the most reliable method of preventing pregnancy. A huge number of women trust this type of contraception. But at the same time, there are constant disputes about whether they are harmful or useful, what are their pros and cons. Many women note that depression develops when taking birth control pills. Depression is a pathological condition, which not only lowers the mood, but also the ability to enjoy the life. It is characterized by anhedonia, apathy and motor retardation. This is a very formidable pathology, which requires compulsory treatment. 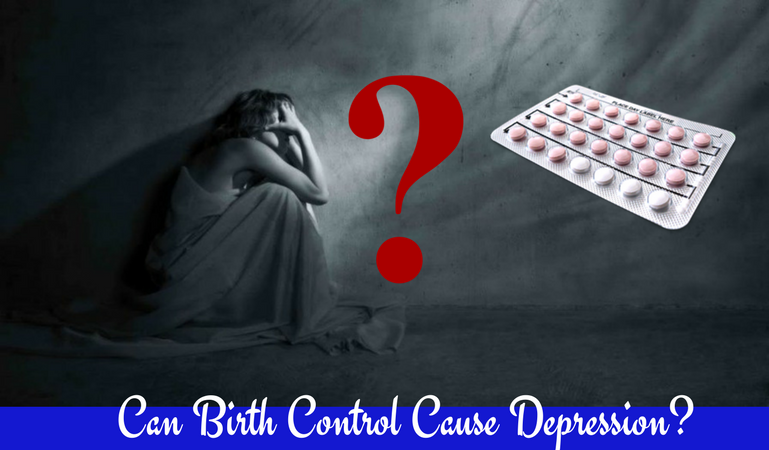 Why does Depression Occur when Taking Birth Control Pills? The composition of birth control pills includes either one or two hormones. Typically, this is a combination of estrogen and progesterone. However, there are medications where only progesterone is contained – mini-pills. It is the latter substance that can provoke the emergence of a depressed state in a woman. Usually, the state of depression from combined contraceptives does not arise. However, if a woman already showed a depression before the drug was used, then in the future her condition may worsen. However, this side effect is extremely rare observed. If you have mood swings, you cannot control yourself, you do not want to work and you constantly feel tired – these are all signs of a depression. Often it is not associated with taking a contraceptive. Still, the possibility that the disorder is caused by progesterone should not be ruled out. Hormonal drugs can cause a deficiency of vitamin B6, which also negatively affects the psycho-emotional state of a woman. What to Do if Depression Developed On the Background of Taking Contraceptive? If the symptoms are expressed, then the therapist needs help to correct the condition of the woman. If there is a depression from contraceptives, you should stop taking them. A gynecologist may suggest a different way to protect against unwanted pregnancy – the introduction of the IUD or the barrier method (condoms, spermicides). If the symptoms are not expressed and do not cause any particular inconvenience to the woman, then it is necessary to focus on birth control pills of a combined type, in which the content of progesterone is much less. To prevent the onset of a depression, it is recommended to take a daily complex of B vitamins. Contraceptives based on hormones have very different effects on the female body. In order to detect all the undesirable phenomena, mandatory consultation is required twice a year. When taking birth control pills, there may be observed mood swings. In women taking drugs, the severity of side effects may be different. Estrogen and progesterone, which are a part of contraceptive drugs, affect the emotional female background. When taking tri-phasic pills, the level of estrogen and progesterone fluctuates during different phases. With the prevalence of estrogen, the woman experiences a surge of energy, the emotional background stabilizes, everything shines brightly. This is observed in the third phase of the cycle. Progesterone is predominant in the first and second phases. At this time, there may be significant mood swings. A woman can feel depressed and exhausted. In life, gray tones predominate, everything seems gloomy and hopeless. The gestagens help block the production of tryptophan. In addition to an unstable mood, there may be insomnia at night and drowsiness during the day. At the same time, working capacity drops sharply, a woman experiences weakness, depression. This most negatively affects the mood. As you get used to a certain drug, the side effects are smoothed out. Mood swings are much less common and less pronounced. If taking oral contraceptives adversely affects the emotional background and with time the side effects do not become less expressed, you need to visit a doctor to select another drug that will have less impact on the emotional background. Often, there is no need to change the contraceptive. Gynecologist recommends an additional intake of vitamin B6, which helps to stabilize the mood and reduces the severity of the negative effects of contraceptive drugs. © 2019 www.birthcontrolpillsrx.com. All Rights Reserved.